Ni-Vanuatu businesswoman Rosemary Leona is living proof that Pacific women can stake a claim in the region’s male-dominated business scene. The fifty-four-year-old native of Pentecost Island has made a name for herself in two of Vanuatu’s key industries: tourism and kava. She is the proud owner of the recently launched Vila Rose Hotel in the heart of Port Vila. Rosemary has also run a successful kava export business called ‘Vanuatu Wise’ for the last two years. 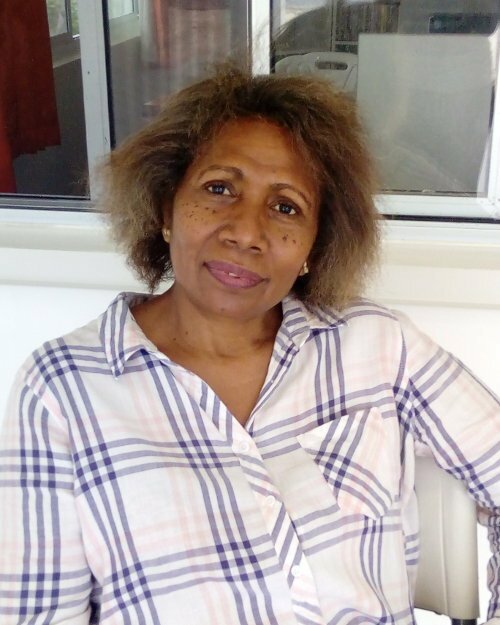 Prior to setting out on her own, Ms Leona was a senior lending officer with ANZ Bank in Vanuatu for many years, where she oversaw loans that helped many Ni-Vanuatu individuals and small businesses grow. She holds a Bachelor of Commerce in banking and finance from the University of Canberra. Ms Leona believes in giving back to community. Along with her siblings, she has helped raise funds for the establishment of a new medical operating theater in the northern part of her home island. This portrait of Rosemary Leona was first published by the Pacific Community for the 70 Inspiring Women campaign, it is reproduced here with their permission.